Farhan Bogra is a cultural activist and rubab virtuoso hailing from Peshawar near the Khyber Pass by the Pakistan-Afghanistan border. Farhan is one of the world’s leading representatives of Pashtun music and culture, which is rapidly changing in the face of religious extremism. 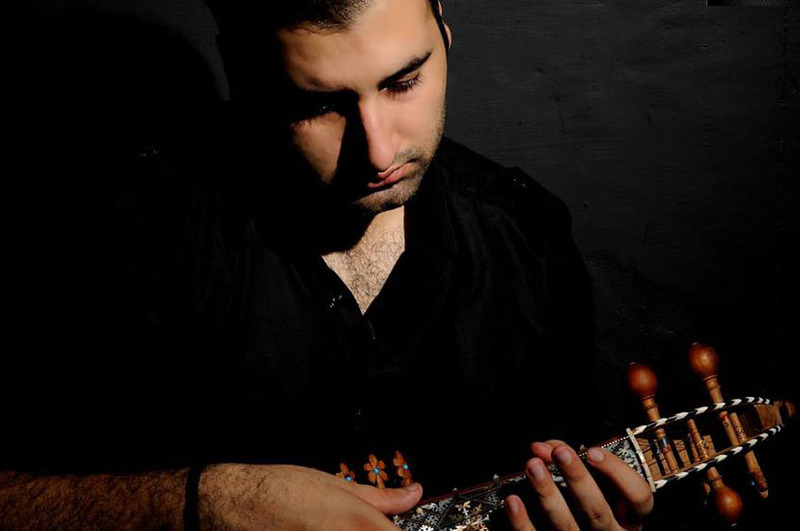 To break the ingrained cultural norms about art and thought in the region, he founded the instrumental band Khumariyaan, which takes native music as its essence and incorporates western music, as a means of reformative cultural education and break the tradition of the South Asian vocal based musical culture. Khumariyaan has been invited to perform on stages internationally, including the Asia Society in New York, and has received many accolades from the global media, including full features in the New York Times, Billboard, MTV Iggy, and NPR. Around ten years ago, while he was grappling with the idea of Pashtun folk music becoming irrelevant, he gifted a Rubab to a friend. He then learnt that his friend’s father had disapproved of the present and had replaced it with a guitar. The incident struck a pro-verbal chord, and became the beginning of Farhan’s burning desire to revive local music by educating people while simultaneously working to evolve new sounds. Farhan is also a visiting lecturer to many schools to educate the youth about Pashtun Culture, and is currently working to present folk music events and projects to support local folk musicians.